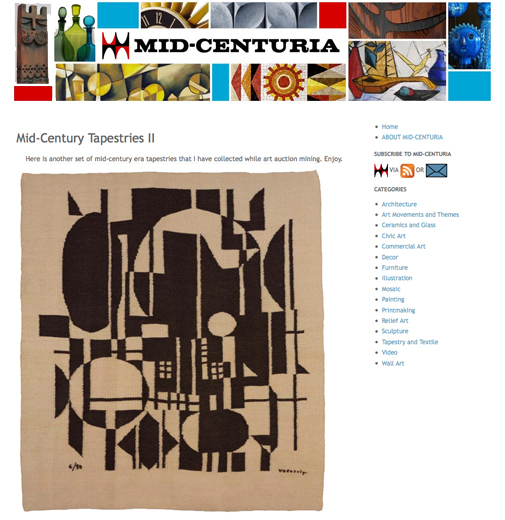 Modern tapestries from the Vojtech Blau collection were recently featured on the art, design and decor blog, Mid-Centuria; including Helice by Sonia Delaunay, Composition by Victor Vasarely and Barge Rousse by Rene Fumeron. 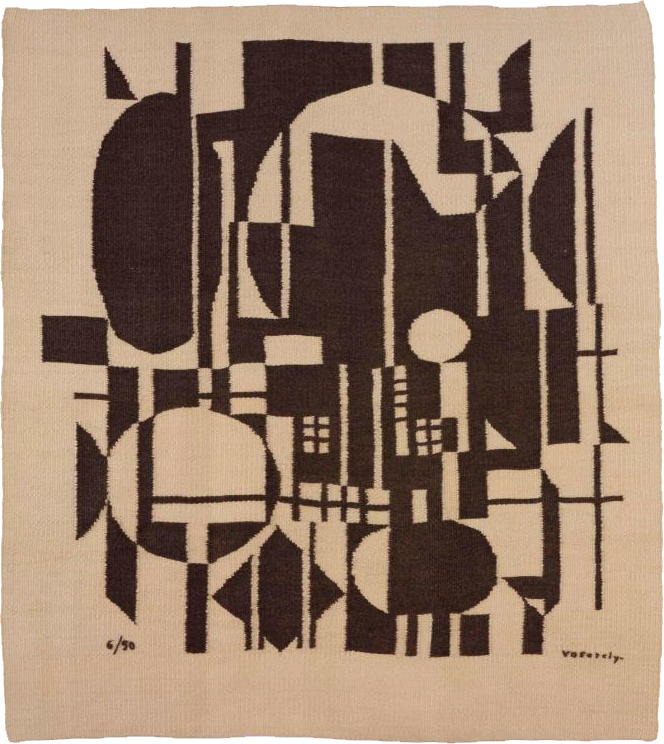 Mid-Centuria explores art, design and décor from Bauhaus to Mid-Century Modern and beyond. Covering both fine and applied art forms, which encompass painting, sculpture, mosaics, pottery, glass, ceramics, textile and furniture. While mainly focused on original period pieces, contemporary items that capture the original genre’s essence are also included.